Every actor needs improvisation skills. They are essential in today's competitive audition environment, and indispensable on stage and screen. The skills you will learn in this two-and-a-half day workshop (1 evening + 2 days) will allow you to become comfortable organically developing a character within a given set of circumstances. Actors will be taught how to effortlessly create instant relationships, compelling points of view, strong character choices, in exciting and natural scenarios. Actors who have worked with Razowsky call his approach “compelling,” “gratifying,” “simple,” and “exciting.” Once you’re exposed to this, you won’t let go. 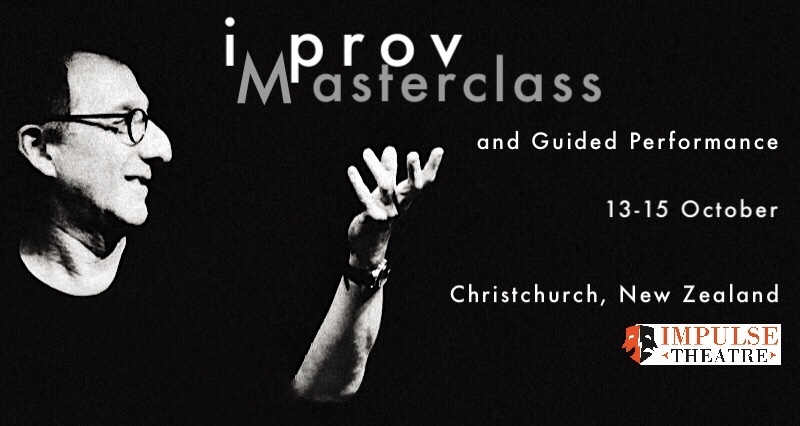 As part of the workshop, there will be a guided improvisation performance on the evening of Sunday, 15th October, in the Gloucester Room at the Isaac Theatre Royal. This is an unmissable opportunity to put what you have learned into action! Performing in a show that’s directed by David Razowsky is a special event, particularly when David directs you while you perform. His gentle, direct “side coaching” has proven to benefit all improvisers who’ve joined him for these “Guided Improv Scenes.” The cast of actors will be lead through two-person scenes with David keeping the actors focused on their points-of-view, guiding them toward the “shiny objects,” following where the scene’s heat is and where the scenic surprises live. All this with a live audience!